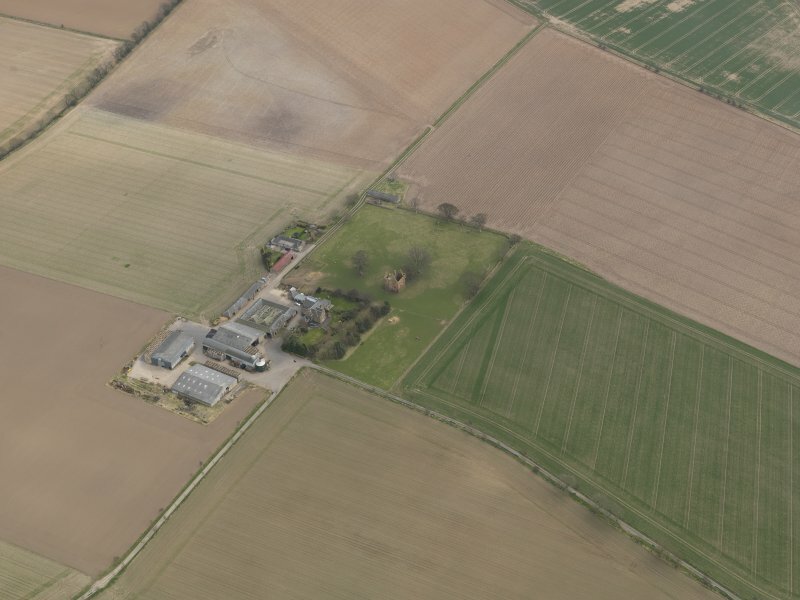 Oblique aerial view from SE with farm buildings. 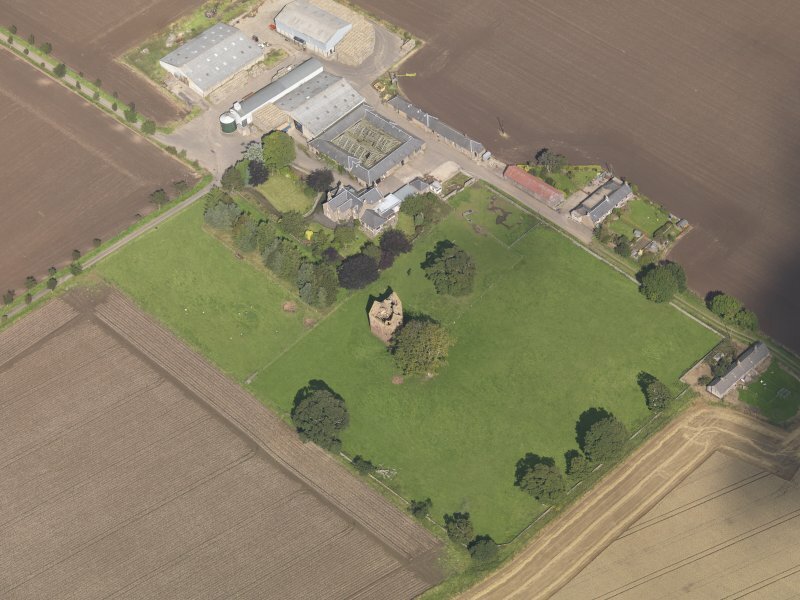 Braikie Castle. Interior. 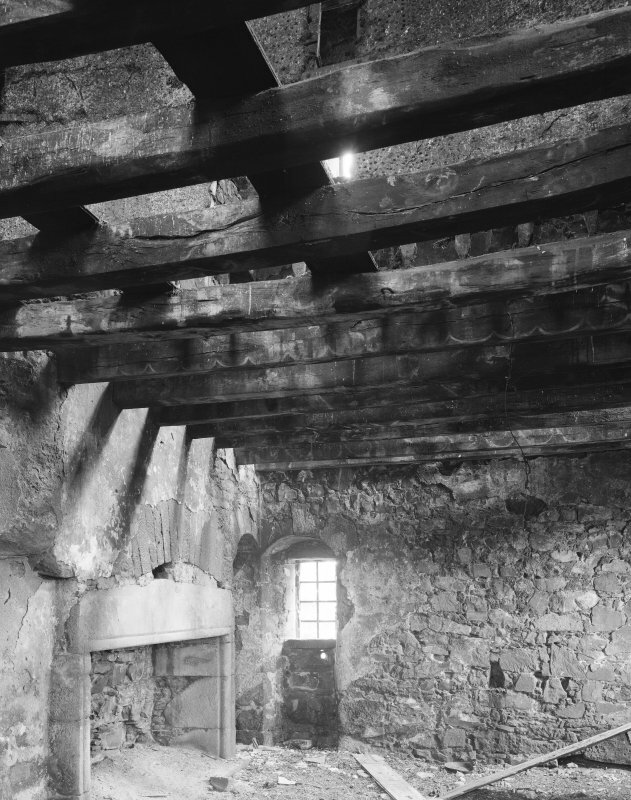 View of hall showing fireplace, painted beams and partition above. Braikie Castle. View from NW. 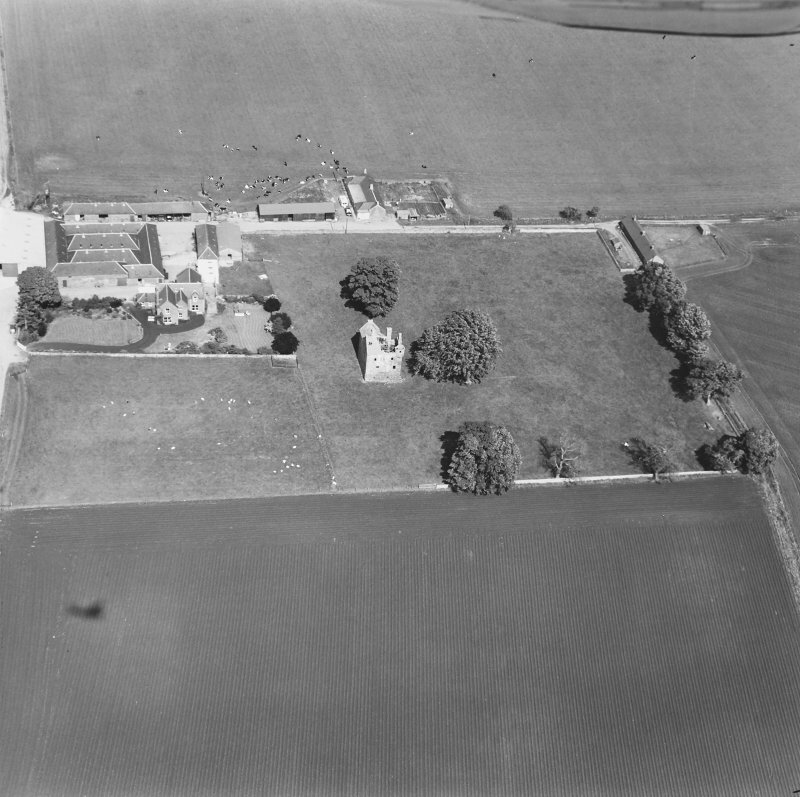 General oblique aerial view centred on the remains of the tower-house with the farmstead adjacent, taken from the SW.
General oblique aerial view centred on the remains of the tower-house with the farmstead adjacent, taken from the NW. 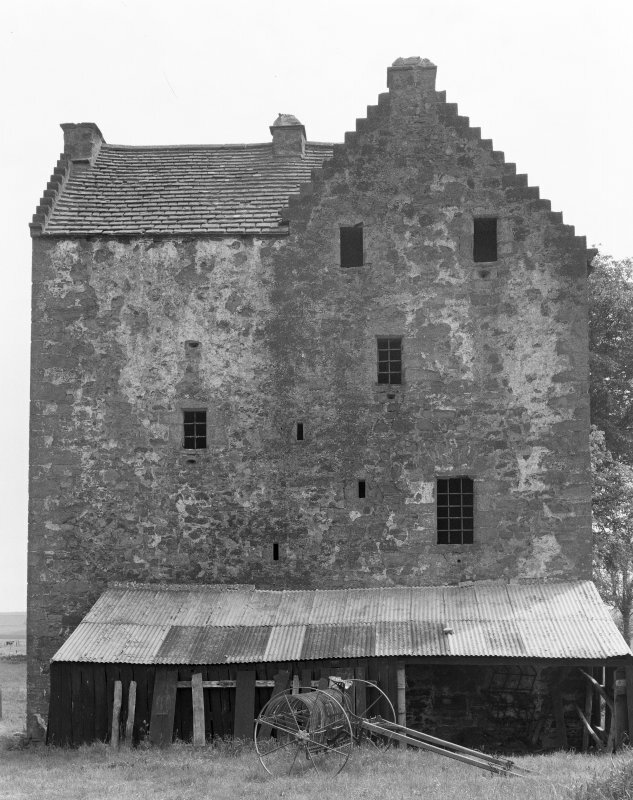 Braikie Castle. Interior. Detail of bottom of private stair from cellar to hall. 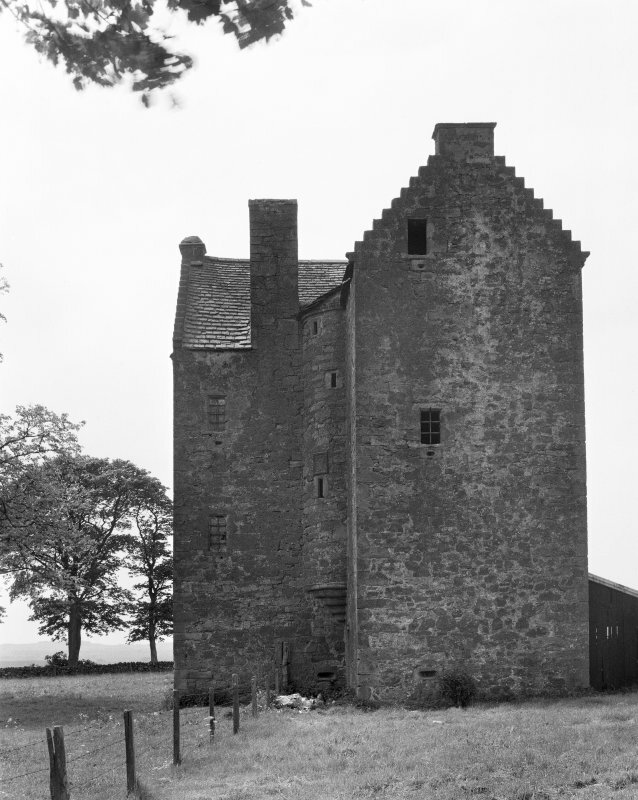 Braikie Castle. 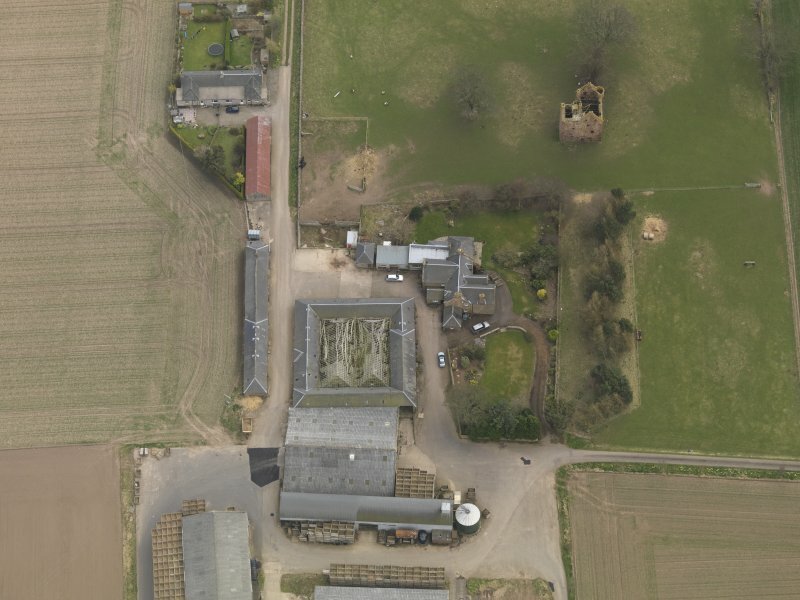 General view from E.
General oblique aerial view of Braikie Farm, centred on Braikie Castle, taken from the SSW. 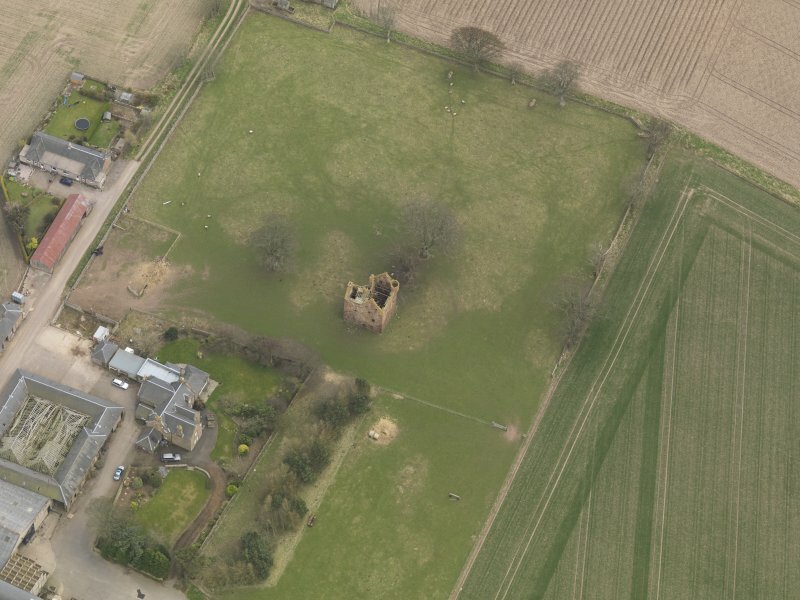 General oblique aerial view of Braikie Farm, centred on Braikie Castle, taken from the SW.
General oblique aerial view centred on the remains of the tower-house, taken from the NE. 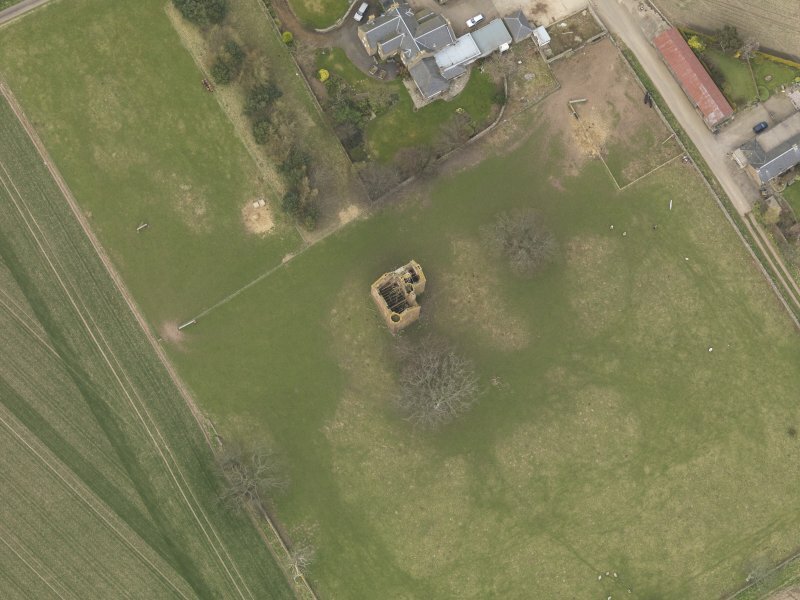 Oblique aerial view centred on the remains of the tower-house, taken from the NW. 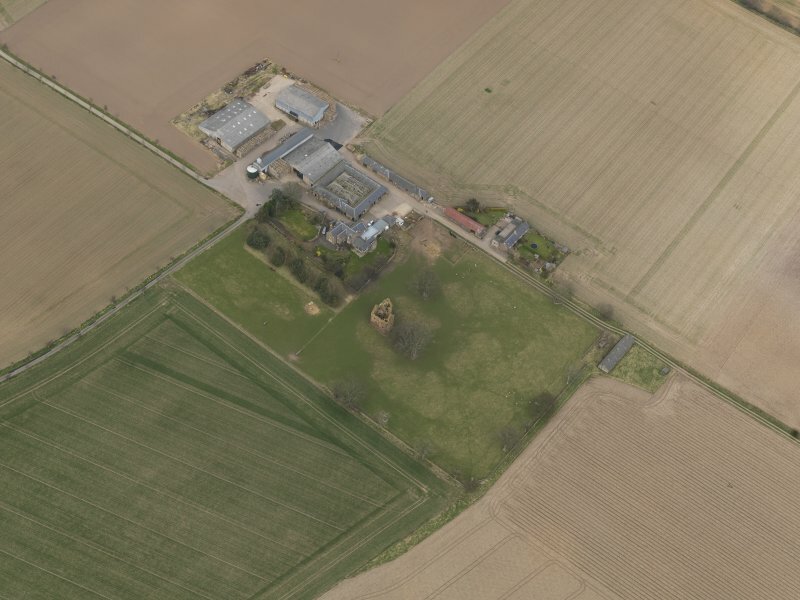 General oblique aerial view centred on the remains of the tower-house with the farmstead adjacent, taken from the SSE. 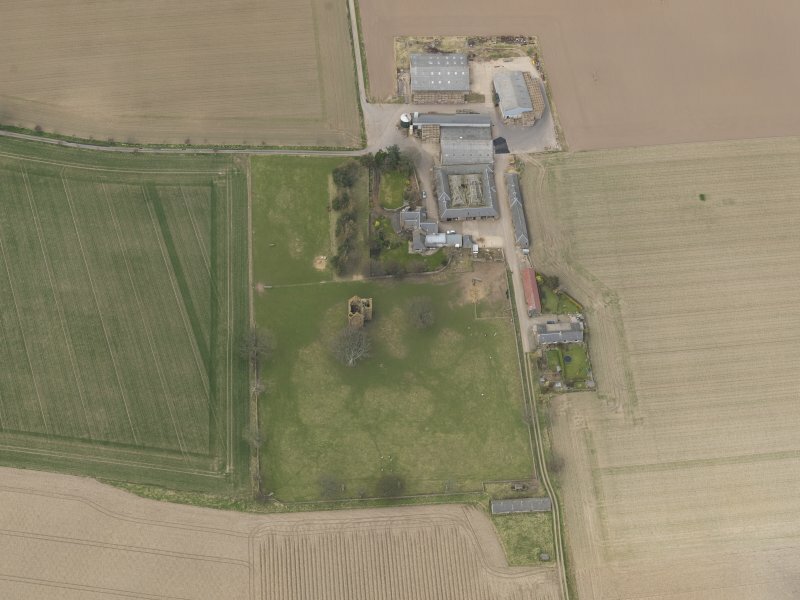 Oblique aerial view from W with farm buildings to N.
Oblique aerial view centred on the remains of the tower-house, taken from the SSW. 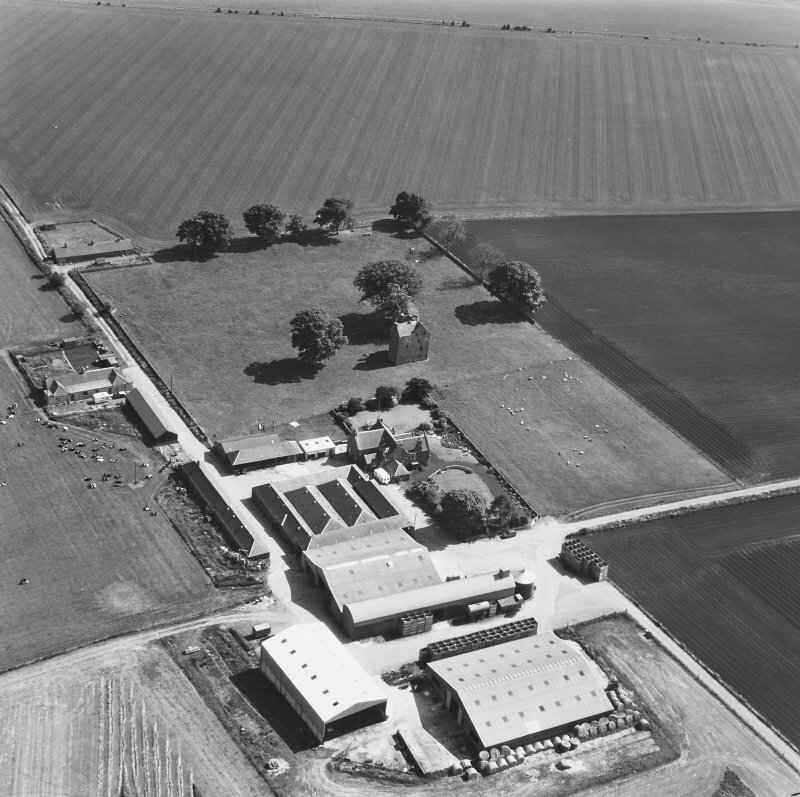 Oblique aerial photograph from SW with farm buildings. 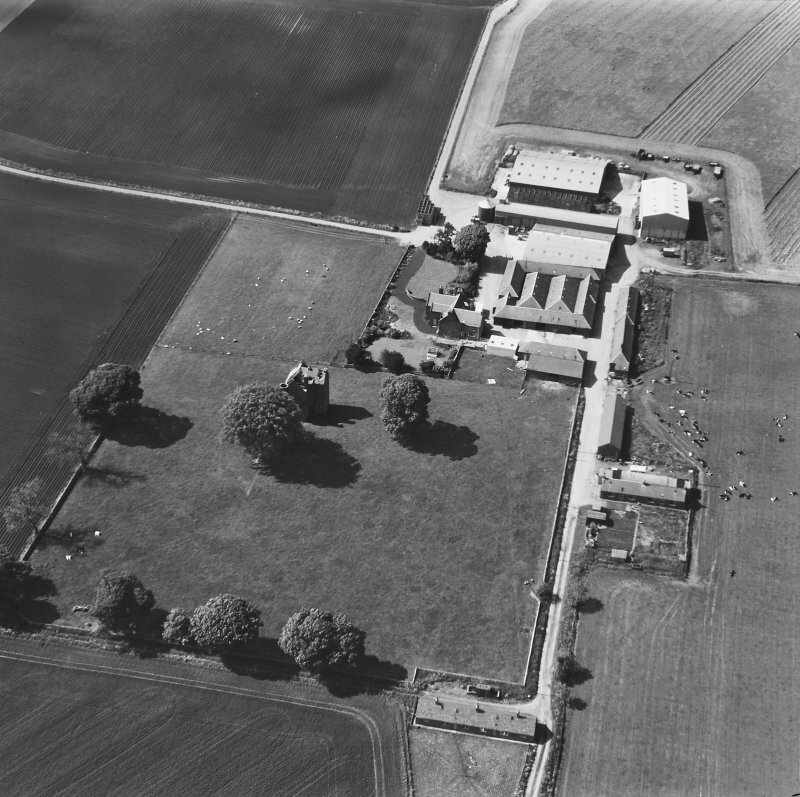 Oblique view from S with farm buildings. 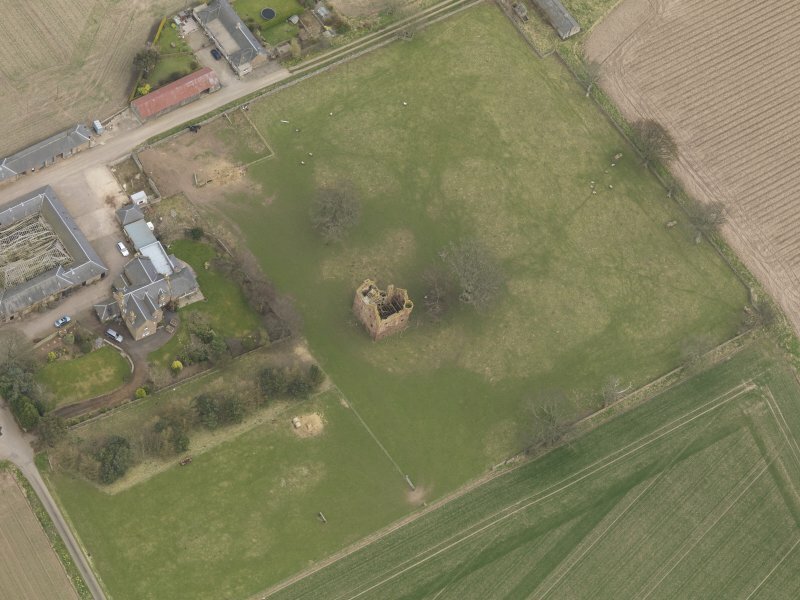 Braikie Castle. View from NE. 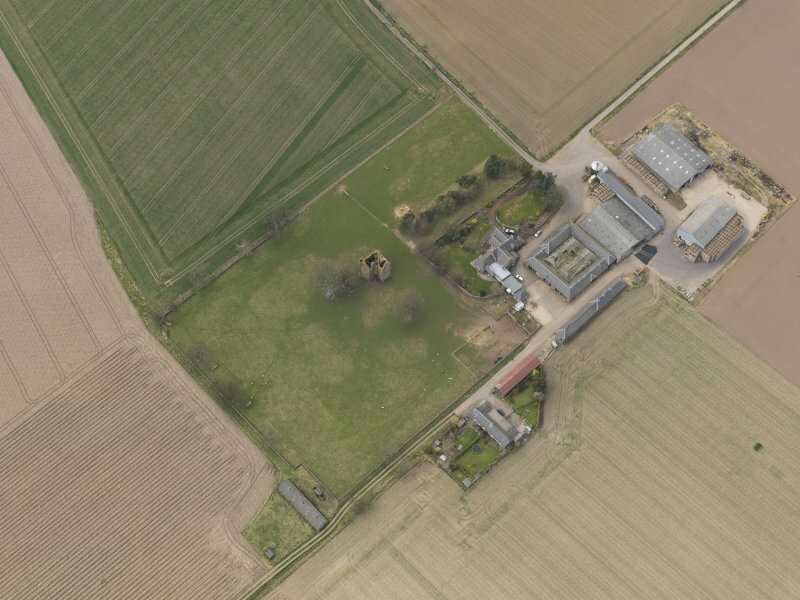 Oblique aerial view centred on the remains of the tower-house with the farmstead adjacent, taken from the NNW. 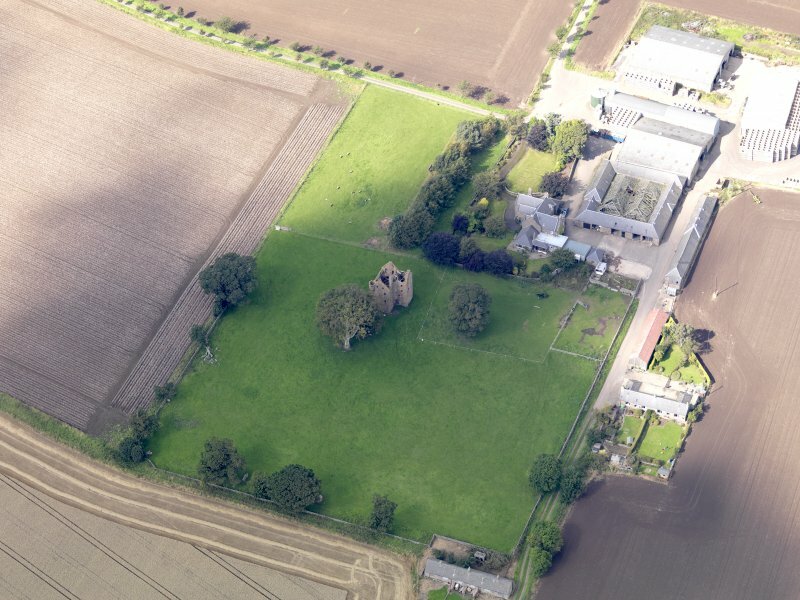 Braikie Castle. 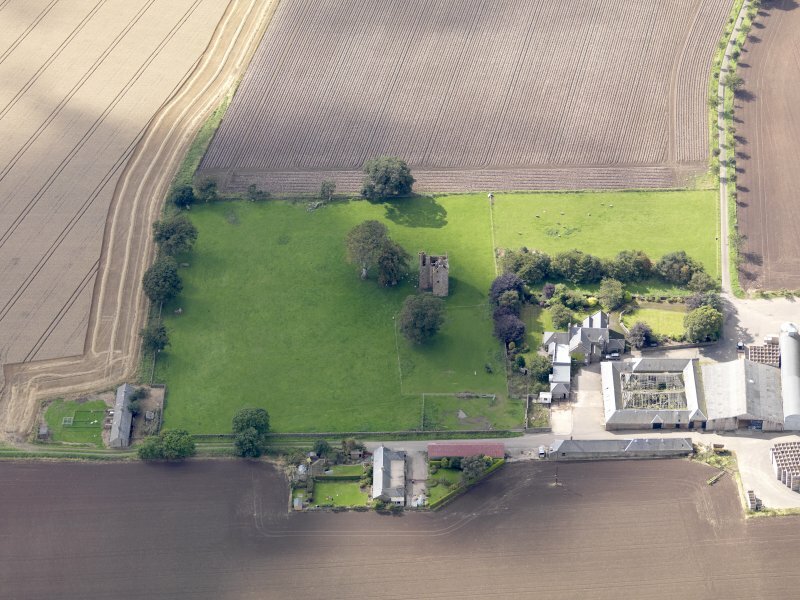 View from SW.
General oblique aerial view of Braikie Farm, centred on Braikie Castle, taken from the WNW. 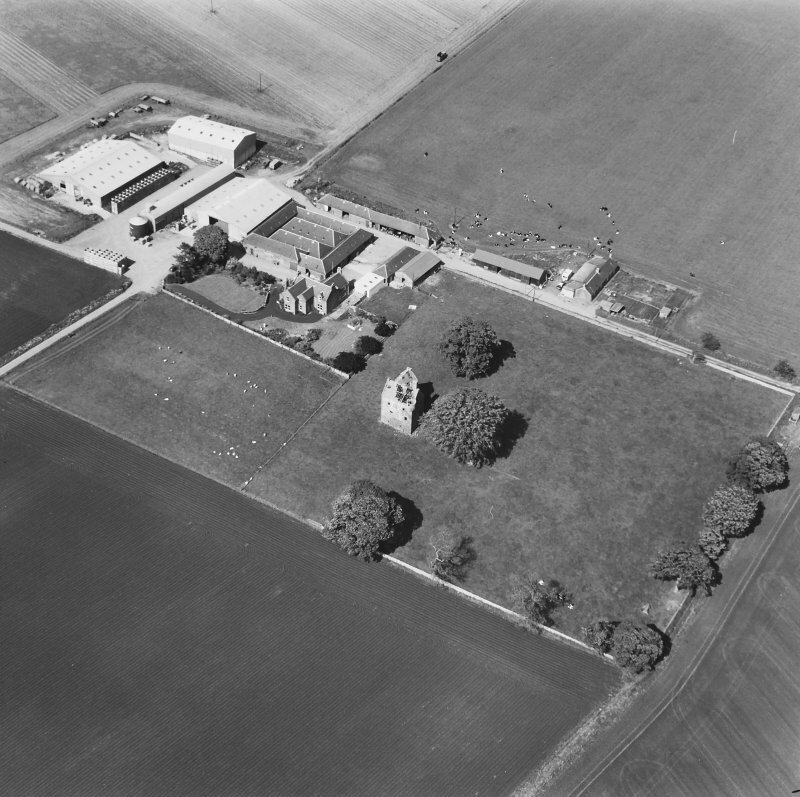 General oblique aerial view of Braikie Farm, centred on Braikie Castle, taken from the NNE. 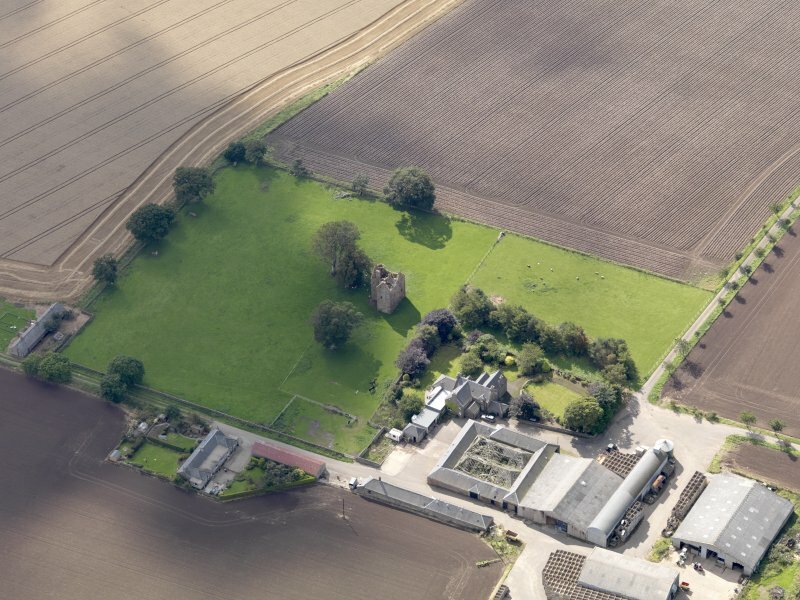 General oblique aerial view of Braikie Farm, centred on Braikie Castle, taken from the NE. 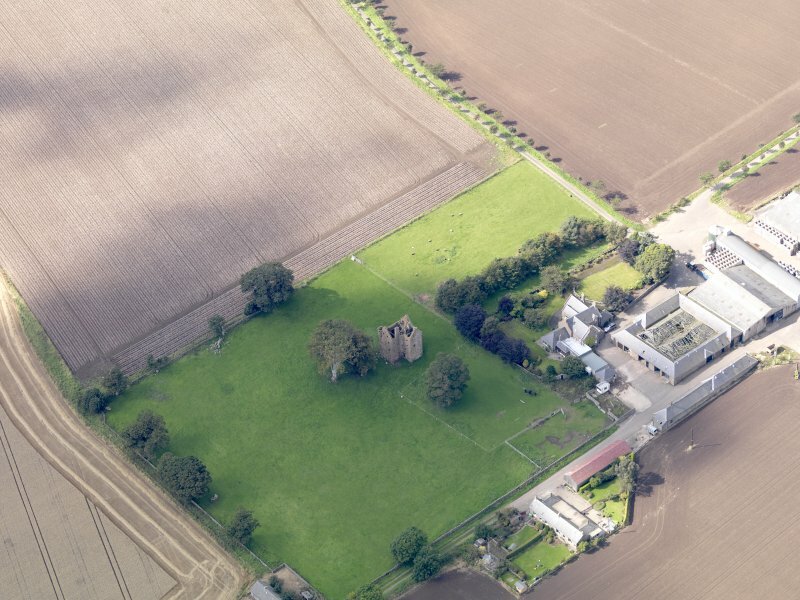 General oblique aerial view of Braikie Farm, centred on Braikie Castle, taken from the E.
Oblique aerial view centred on the remains of the tower-house, taken from the WNW. Braikie Castle. Interior. 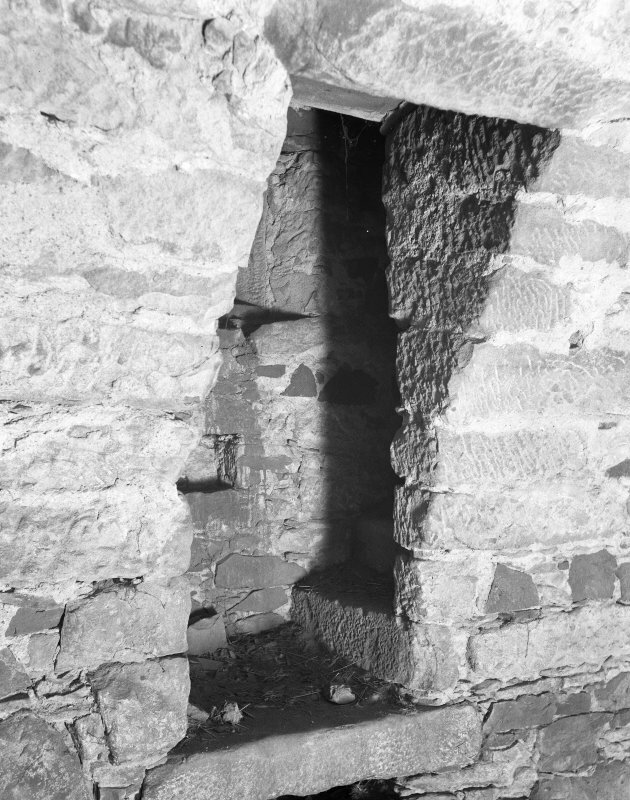 Detail of yett with alcove below main stair. 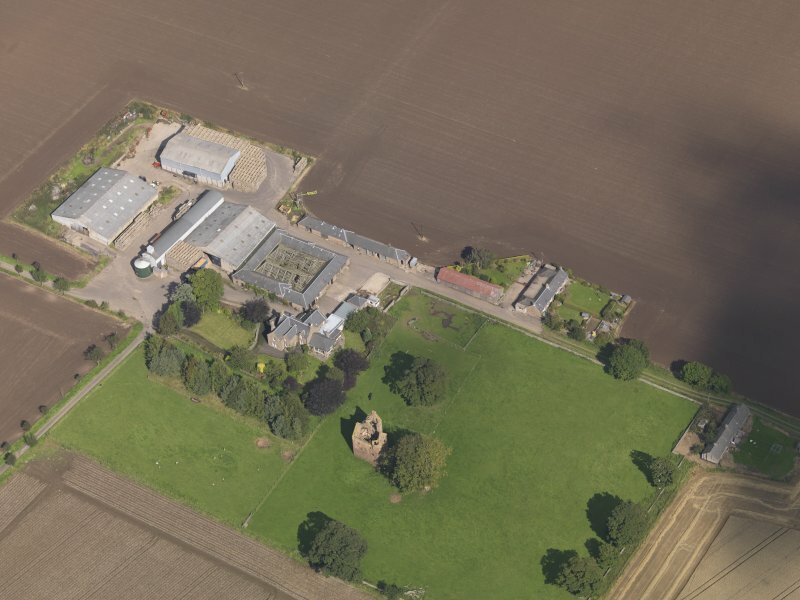 General oblique aerial view of Braikie Farm, centred on Braikie Castle, taken from the S.
General oblique aerial view of Braikie Farm, centred on Braikie Castle, taken from the SE. 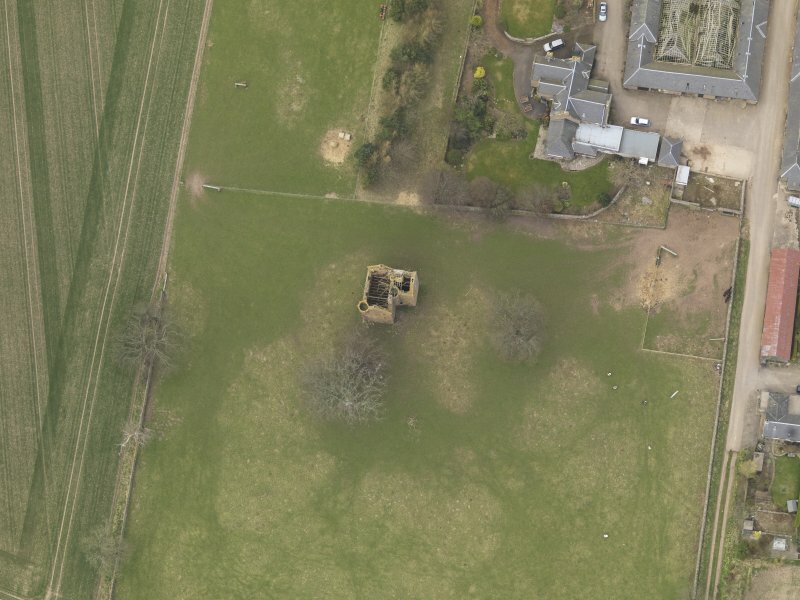 Oblique aerial view centred on the remains of the tower-house, taken from the SSE. 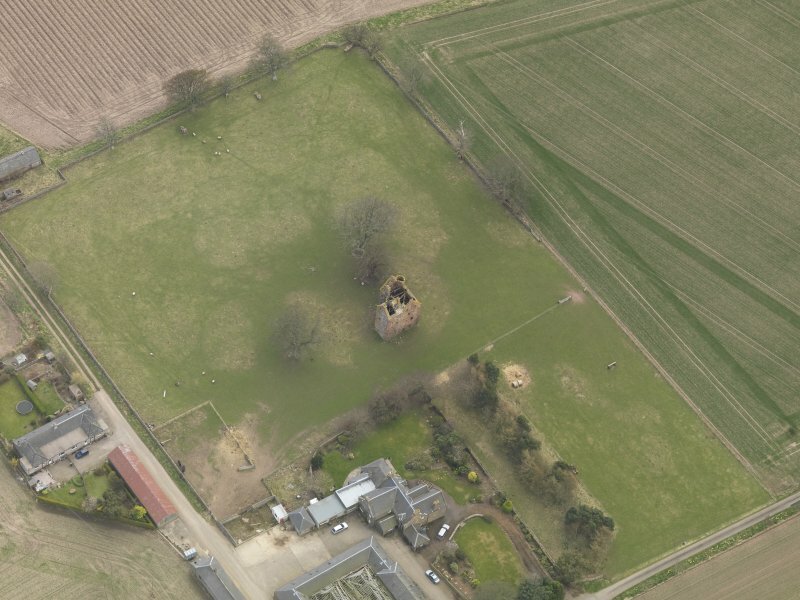 General oblique aerial view centred on the remains of the tower-house, taken from the SW.
General oblique aerial view centred on the remains of the tower-house with the farmstead adjacent, taken from the SE. 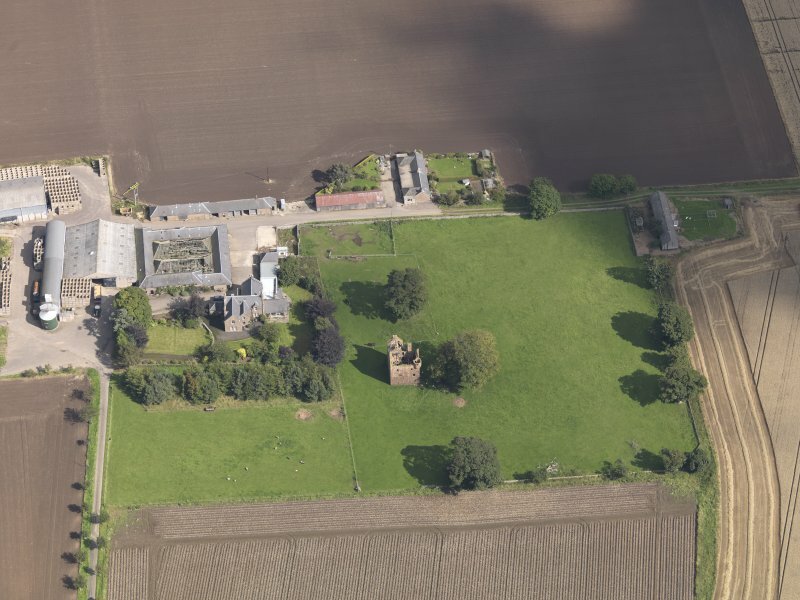 (Though called 'Brackie Castle' by MacGibbon and Ross (1887-92), all other authorities consulted give the name of this monument as 'Braikie Castle'. 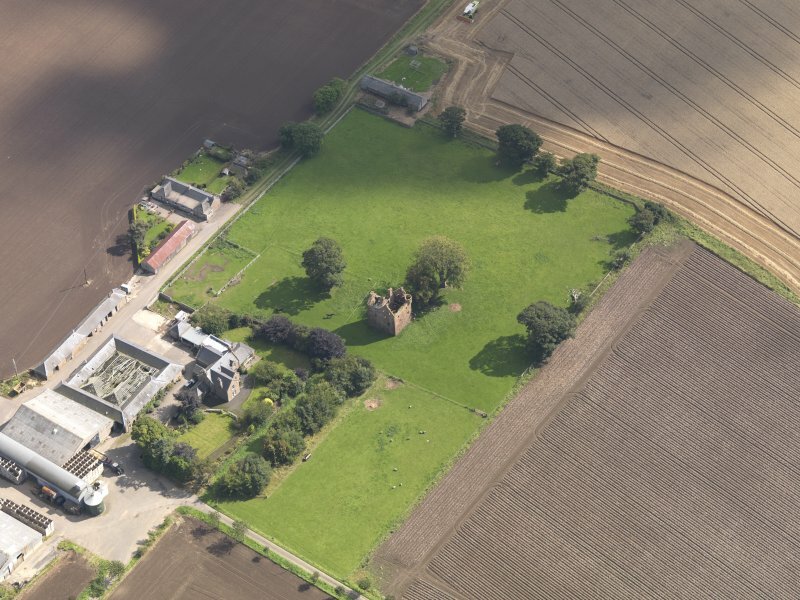 It is an excellent example of a later 16th century laird's house, having been built in 1581 - the date given on a heraldic panel above the door - for Thomas Fraser, a son of the 5th Lord Lovat. 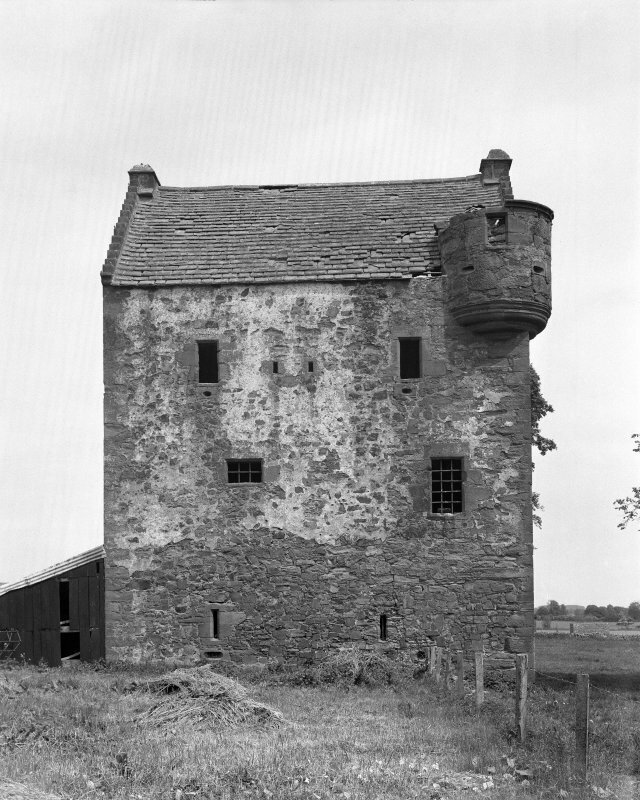 It is tall and L-shaped, of four storeys and a garret, with a stair-turret rising above first-floor level in the re-entrant and an angle-turret, now roofless (Tranter 1962-70), at the SW gable. 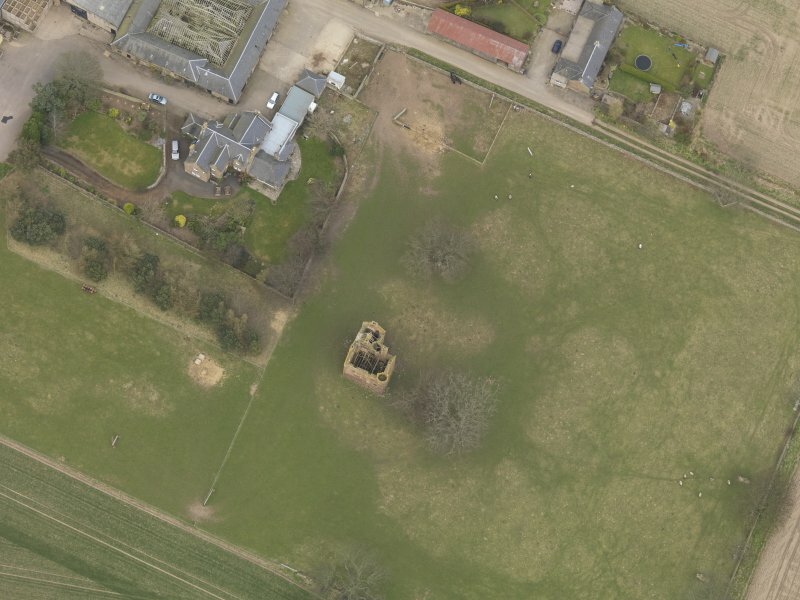 Features are the tall chimney-stack which rises beside the stair-turret, and the large number of shotholes. 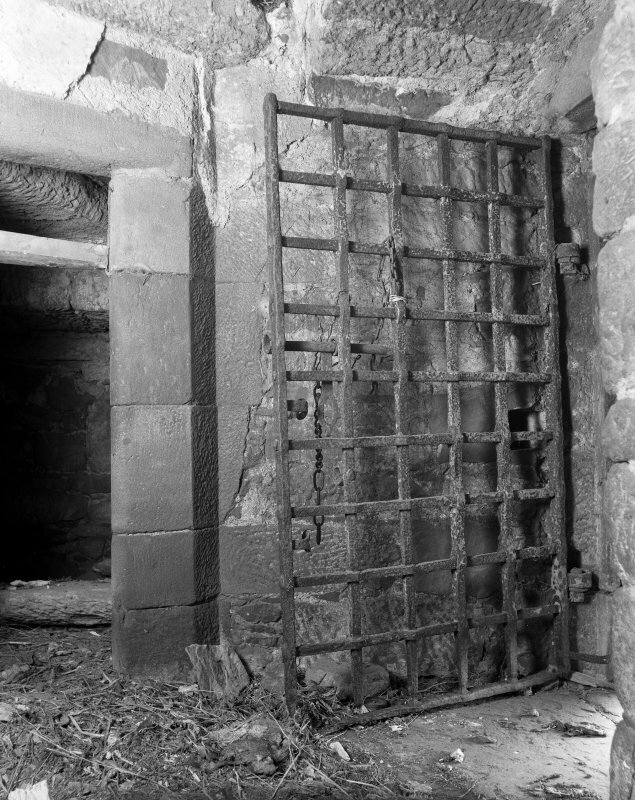 The door is in the re-entrant, protected by an iron yett and wide splayed gunloops. It is now in a neglected condition (Tranter 1962-70). 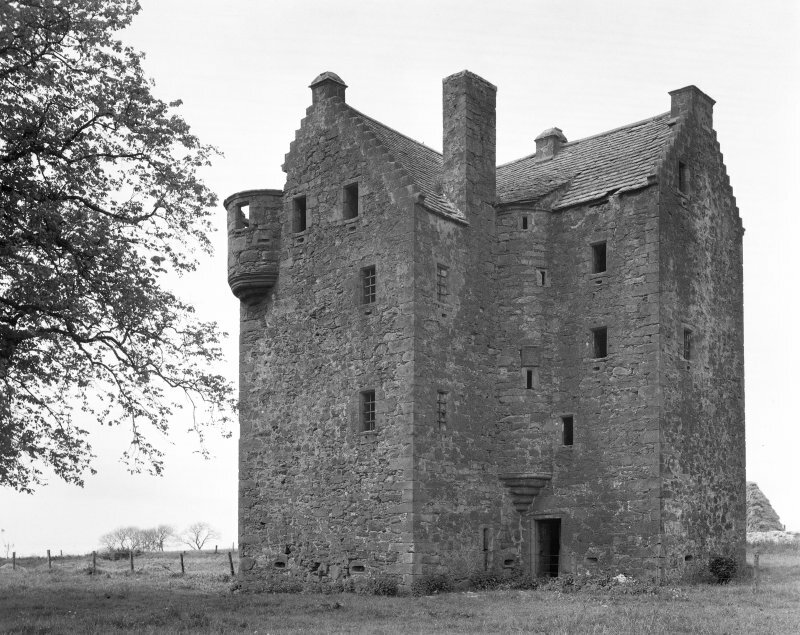 When seen in 1958, Braikie Castle was still roofed and entire, though it was unoccupied and the walls beginning to crumble. 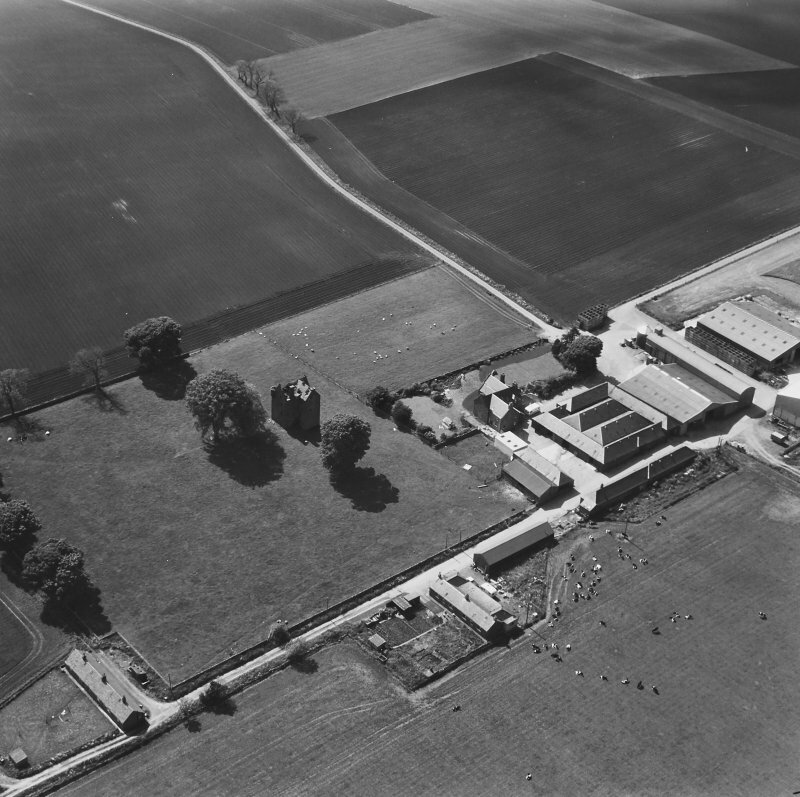 Visited by OS (J L D) 19 June 1958.